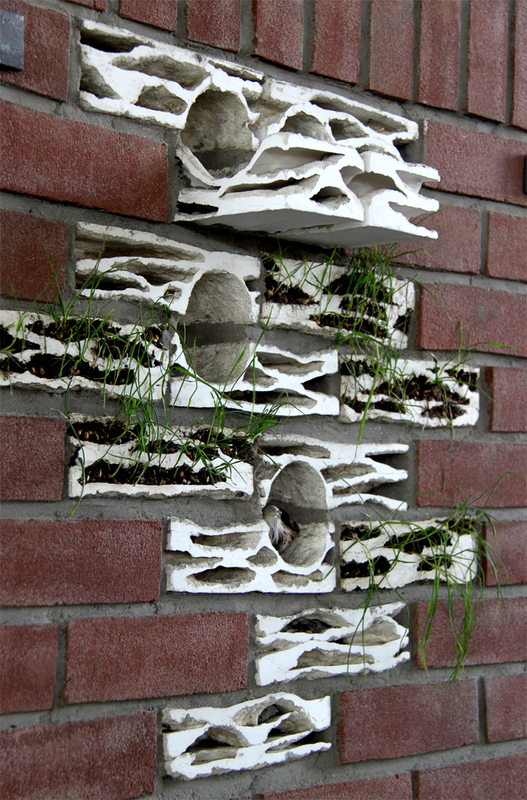 The design allows plants and wildlife to coexist with architecture, forming unexpected life patterns. 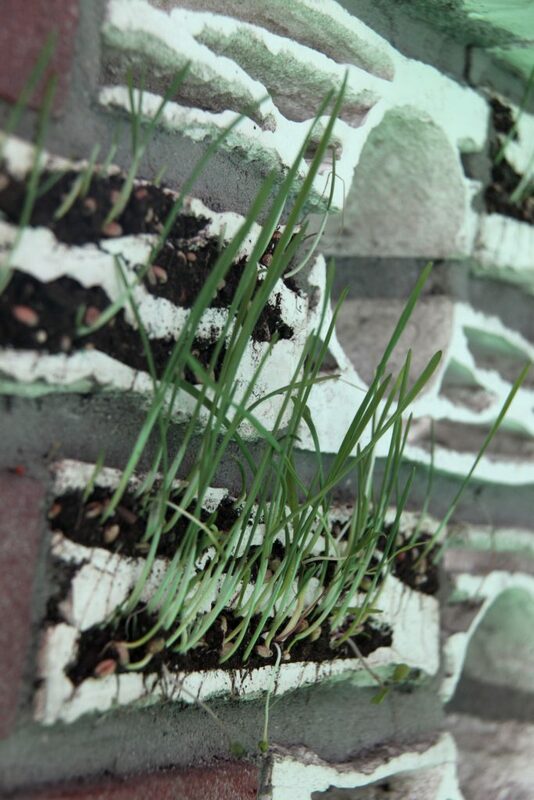 In addition, incorporating Brick Biotope into walls creates an alternative reading to standard masonry wall construction and façade. 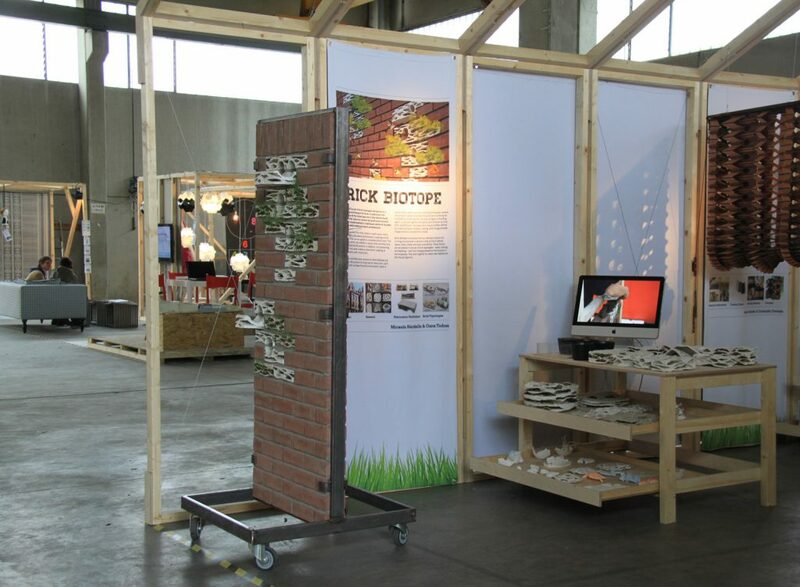 Brick Biotope is a set of brick typologies designed as a natural living environment for birds. 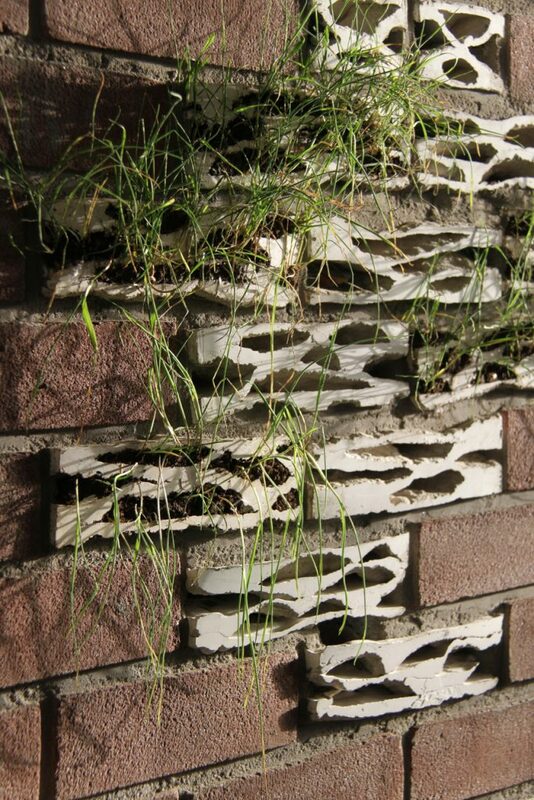 It addresses the disappearance of the House Sparrow in the Netherlands and the need for nature to reclaim the built environment. The House Sparrow often finds shelter in wallcracks. 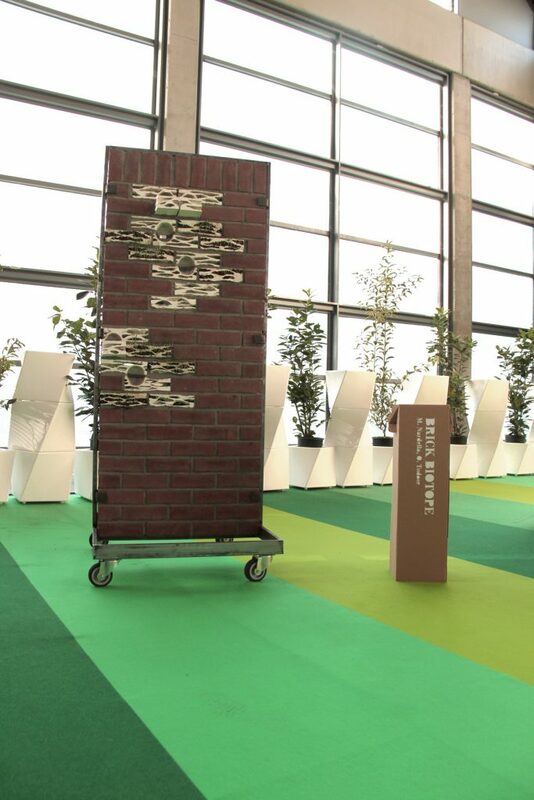 Brick Biotope considers this natural phenomenon, creating a bird-friendly brick that can be applied to a standard brick wall. 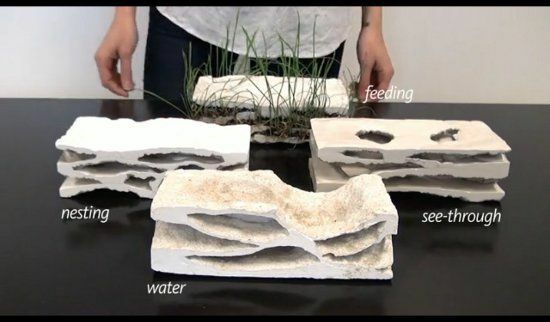 The materials and fabrication process for Brick Biotope are motivated by the practice of using natural resources, such as sand and soil, to shape the built environment. 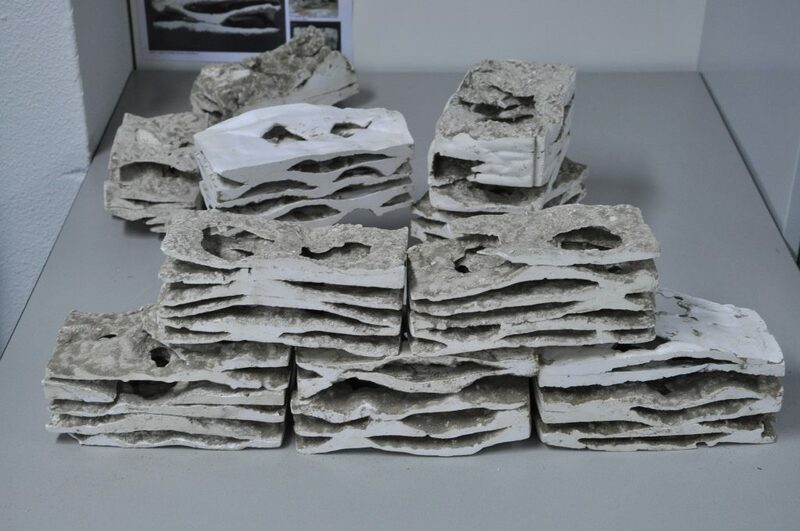 The sand, acting as a moulding agent, is poured together with plaster and removed by hand after solidification. 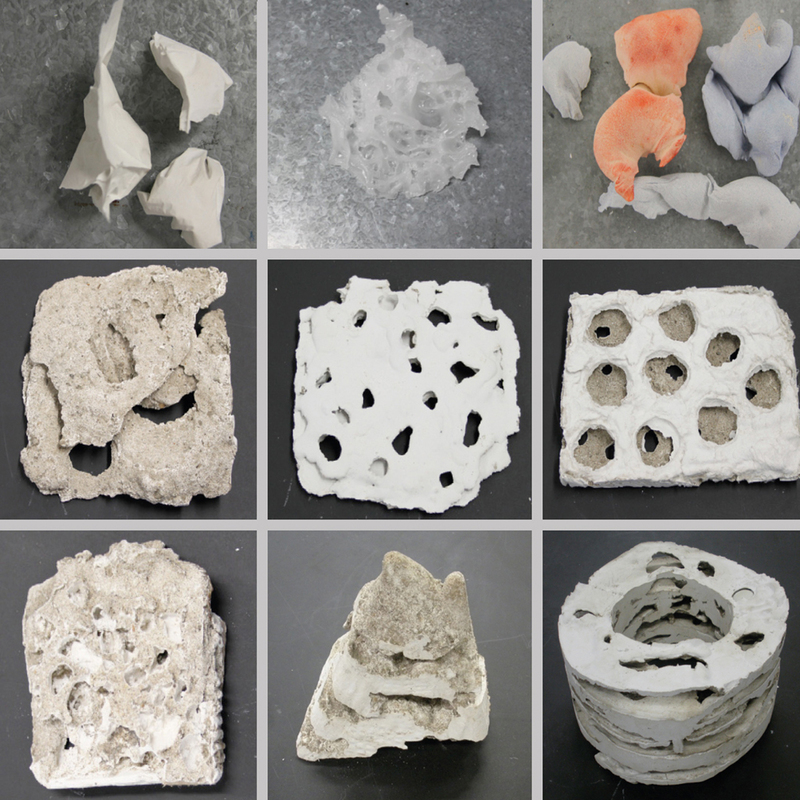 The shapes form unique profiles defined by voids and layers of plaster, creating useful programmable shapes within a standard brick mould.